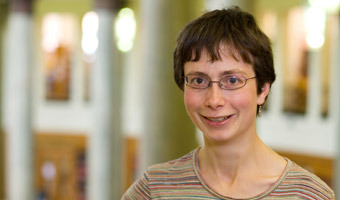 Rachel Muers (University of Leeds) recently gave a keynote lecture at the University of Aberdeen for a postgraduate conference titled "Bonhoeffer's Contemporary Voice." The conference considered how Bonhoeffer’s theology can inform contemporary issues in dogmatics and ethics. Dr. Muers’ lecture, titled “Truth, Trust, and Institutions: Thinking with and beyond Bonhoeffer,” explored Bonhoeffer’s essay fragment “What Does It Mean to Tell the Truth?” In the lecture, Dr. Muers draws upon Emilie Townes’ concept of the ‘true true’ to interrogate contemporary systems and institutions, asking how they express (or don’t express) “what is real in God.” The conference was graciously organized by Bradin Francabandera and Kevin O'Farrell. Bradin and Kevin are both PhD candidates at the University of Aberdeen.